Is there a cost to reaching our full potential? So many of us spend our lives rushing around, jumping from one task to the next with scant regard for the strain we’re putting on our minds and bodies by not giving them a rest from time to time. But if we spend too much time resting will we ever achieve our full potential? According to Dictionary.com, potential is defined as “possible, as opposed to actual,” or “capable of being or becoming.” Would it not follow, therefore, that to reach one’s full potential one must be entirely capable of becoming their best self? And that to be entirely capable one must be entirely focused all of the time – thus relinquishing leisure pursuits and anything unrelated to the ultimate goal? Take wanting to be a published author as an example; it’s all very well wanting it, but if you don’t have the drive and determination to stick at it when the going gets tough how can you expect to succeed? It’s a well-known fact that even JK Rowling herself was rejected countless times before finally reaching the heady heights of success. She achieved her potential only by working through the low moments instead of giving up, and rising, Phoenix-like from the ashes of the rejection pile to come back stronger and more inspired than before. I think this is the best photo I’ve ever taken, and it perfectly encapsulates the concept of never giving up. 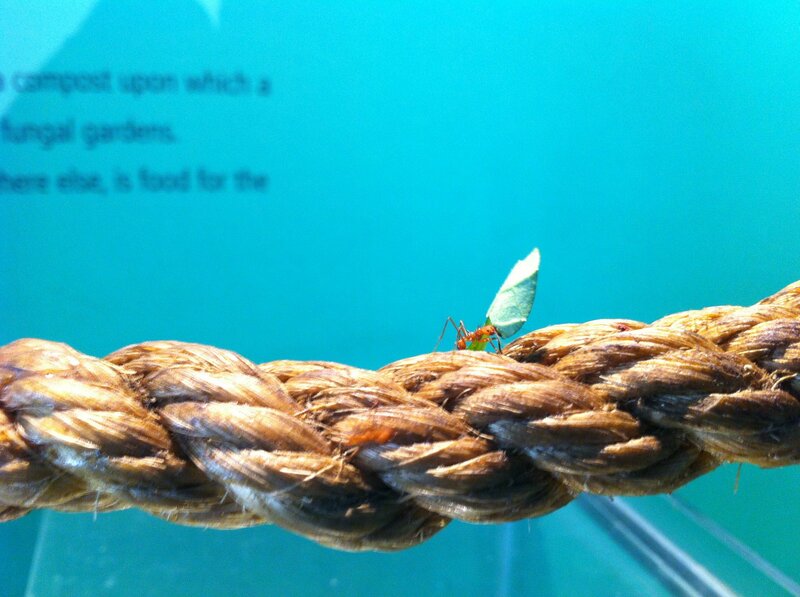 This was part of an exhibition at the London Zoo – ants are just the most amazing creatures!